Get super smooth skin on your feet in no time with Micro-Pedi from Mankind. Throw away your pumice stone, bin your foot shaver because Micro Pedi has arrived. The ground breaking device for feet everywhere, takes the chore out of smoothing the skin on your feet. 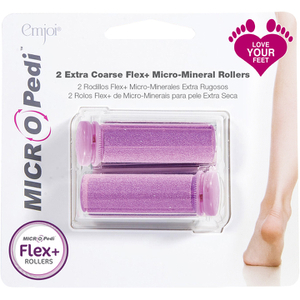 Easy to use and super fast the rotating mineral roller gently glides over the skin taking dead skin cells with it, leaving your feet smooth and silky.